It has been some time, sorry about that! I just wanted to share an outfit and a quick life update. I totally felt like a teacher today with my collard (half) button-up and my cardigan. 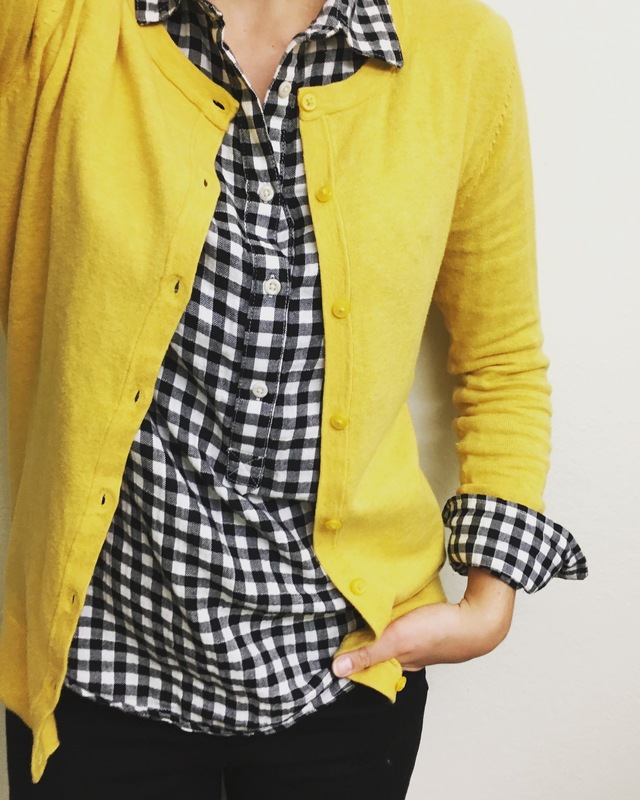 I love black, white, and yellow together so throwing this yellow cardigan over this black and white gingham print top was a no brainer. My work is pretty cold but these layers together make it to where you do not need a jacket. There are sometimes a jacket can just throw off an outfit you know? The top isn’t too thin and the sweater is fitted so together they keep you pretty warm. I paired this combo with black ankle slacks and some black and “wood” pumps and boom, easy office outfit. As for life, I have been at my new job for almost a month and a half and I am still loving it! Trying to make new outfits everyday is so fun and actually being able to wear heels is like a dream come true. For anyone who knows me well they know that when it comes to heels I am pretty self conscious about wearing them because of my height. I am about 5′ 8″ so with heels I am easily 6′. I have been working on not caring though and I wear heels majority of the week and it makes me so happy! I can’t believe its already the end of October. I feel like fall just started and now it seems like it is almost over and it hasn’t even gotten cold yet! I am happy that the temperature has dropped a little and we had a couple days of rain, but can it just be cloudy so I can wear a scarf and drink hot chocolate? Halloween is this weekend and I haven’t even seen Hocus Pocus yet this year. Why does this season get away from us so quickly?! Anyways, although the holidays will be upon us shortly I am excited for the seasons. I am working on getting a bunch of new blogs and new outfits together this weekend so if all goes as planned I will start showing them to you next week! Also, next month is NaNoWriMo, National Novel Writing Month, and I am going to participate again this year! For those of you who do not know the goal for NaNoWriMo is to write 50,000 words in 30 days, that is about 1,667 words day which is totally doable, you just have to be disciplined. I did pretty well last year but different holiday events rolled around and then Thanksgiving and I let myself slack too much. I didn’t hit 50,000 words but I didn’t fully expect myself to. This year I have a new novel idea that I have been playing around with for two years so I am a little more confident. I want to hit 50,000 words this time. 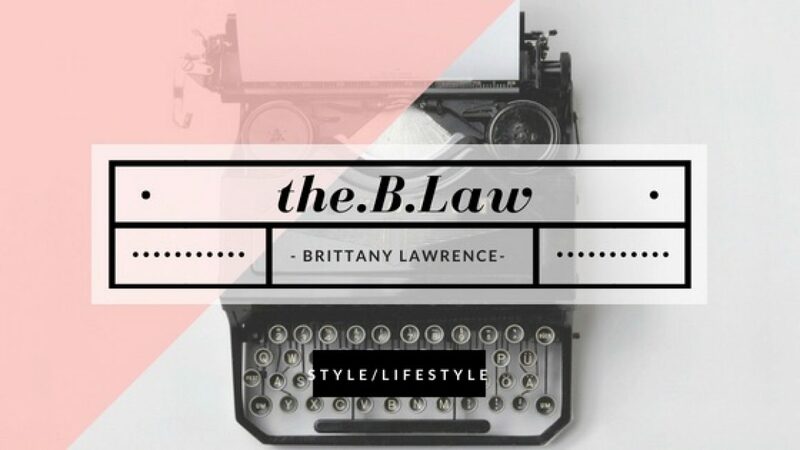 Basically my November will consist of a lot of writing every day, squeezing in blogging, and working out and everything else… except Netflix (sigh!). Wish me luck as it starts! I will keep you updated and will talk to you soon with some new styles! Sorry this post wasn’t as quick as I thought lol! Happy Tuesday! Previous Navy Stripes and Everything Nice!